Majid is the Enterprise Solutions Head at Saviant. He deciphers complex business problems from the Energy and Utility Domains. With an empathetic approach, he simplifies the Digital Transformation journey for businesses and empowers them with generating intelligent actions for their assets. 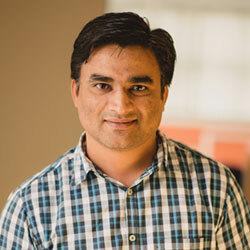 Majid is a seasoned veteran with 13 years of experience in the Software Industry. His focus has evolved from Programming Language to Project and Program Management using Agile Technologies. He has previously served in technology leadership roles in IT Organizations. He holds a Mechanical Engineering Degree and a Post Graduate Diploma in Advanced Computing. Majid is enthusiastic about playing and watching Cricket.